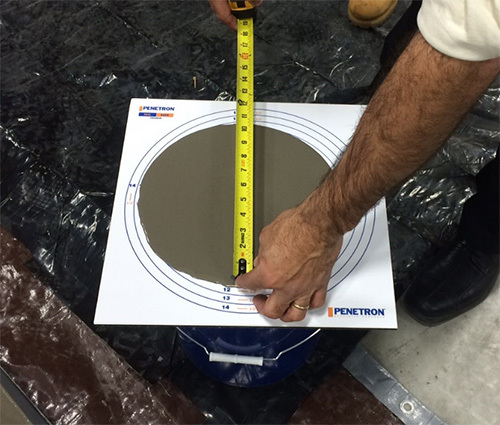 Our “Fail Safe” quality assurance tool helps floor installers, contractors and owners correctly and efficiently install epoxy moisture mitigation and underlayment systems, ensuring what you put on the floor is exactly what’s on the data sheet. Catch mistakes before they happen! The Fail Safe kit and systematic installation process provides a reassuring quality control instrument to help accurately measure the correct floor coverage rates. This ensures that every installation meets the required project specifications. Please obtain a Fail-Safe kit from your Penetron representative prior to mixing.